Facebook Fan Page: Free Yellow Pages Ad? With this week’s announcement of its fan Pages and Social Ads, along with its Beacon program, Facebook has made business use a much more integral part of its service. This is the way it has to be, even though some users are grumbling about the commercialization. I had originally seen the Pages program as, in essence, a free electronic Yellow Pages ad for businesses and organizations. But then when I published a Fan Page and did a search, it didn’t come up among the results. Can anyone tell me why Pages don’t show up in search results? 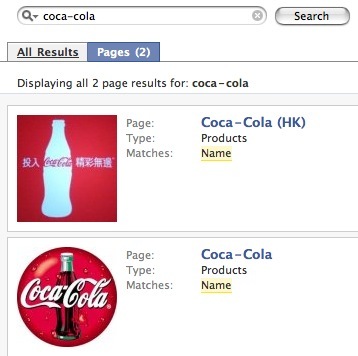 Do the Coca Cola pages show up because Coke is an advertiser? If that’s the reason, as I suspect, at what level do you have to be advertising for your Page to be part of the search results? good post, and you’re not the only one wondering how to find the fan pages!